For nearly 20 years we have been the hvac contractor of choice for homeowners and business owners in Concord, Walnut Creek, Antioch, Oakley, Pittsburg, Brentwood, Martinez, Pleasant Hill, Alamo, Lafayette, Orinda, Moraga, Pinole, Hercules, El Cerrito, Blackhawk, Berkeley, and Piedmont CA and the surrounding communities. 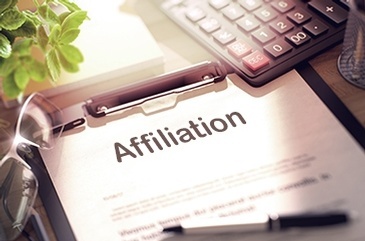 When you hire a company to work on the air conditioning or heating system in your home, you want to make sure the work is done right – the first time. There are lots of operations that will claim to be able to do the work, but unfortunately cannot deliver on what they promise. We know that you will be pleasantly surprised when you hire us. you will be “in the loop” from the start of the project to the finish, so you never have to wonder what is happening. most importantly, the final result – whether it’s a new installation, repair, or regular service – will be exactly as you expected. 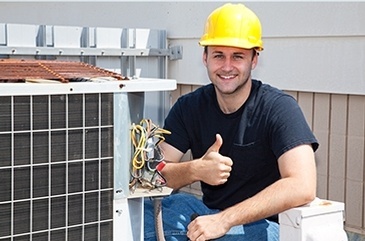 When you need air conditioning or heating work done professionally, call us! we can come out and provide an estimate: (925) 998-9909. 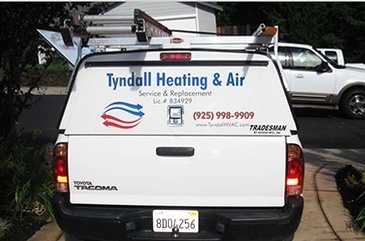 At Tyndall HVAC in Antioch, we evaluate what your needs are and determine how we can help in the most cost-efficient way possible. Tyndall HVAC was great. The were most accommodating, professional and care about what they do and how they deliver their service to their customers. I would highly recommend them.